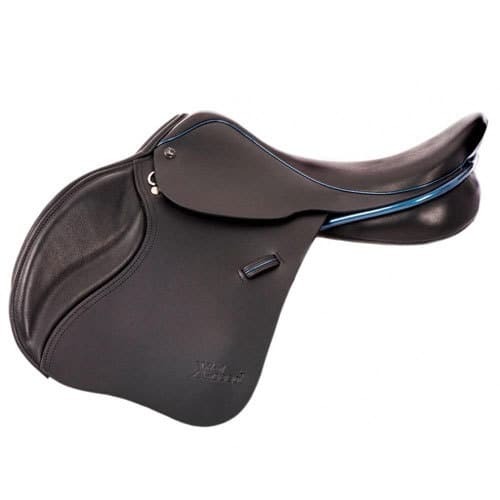 Illustrated here is the VSD version with a straighter flap and panel. 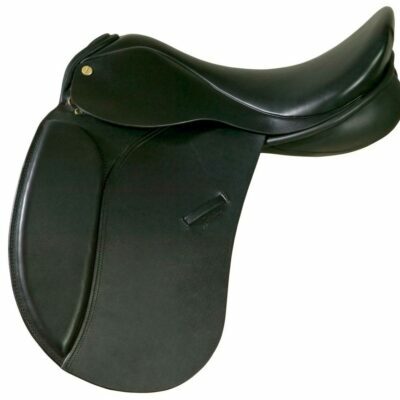 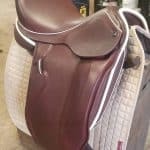 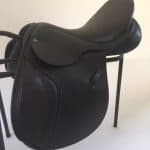 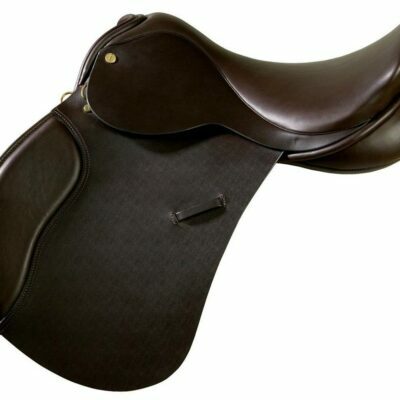 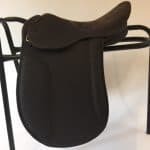 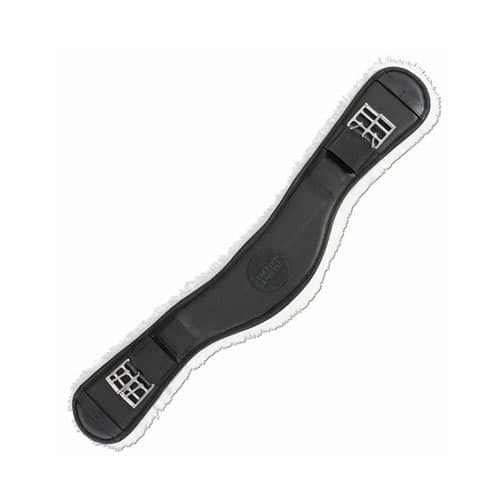 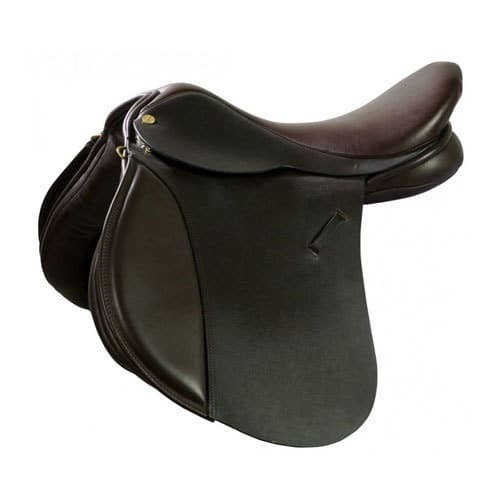 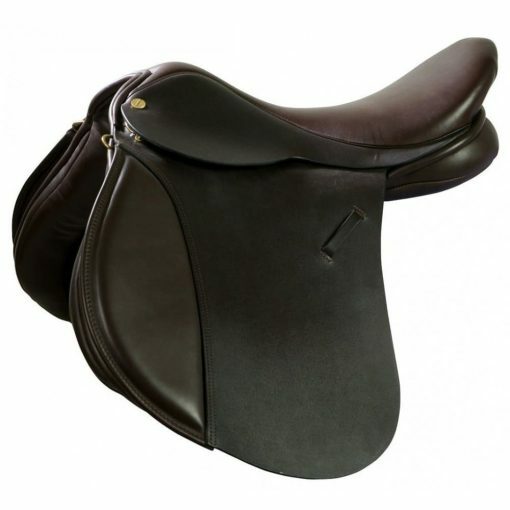 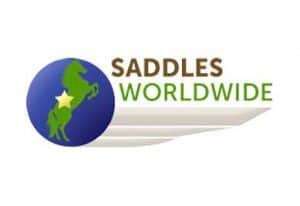 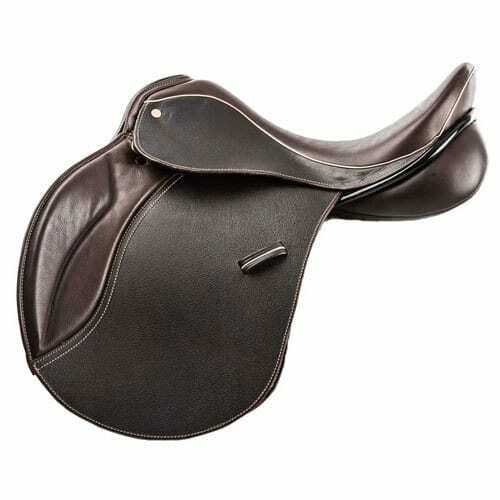 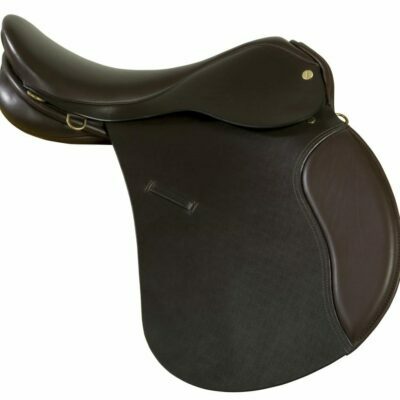 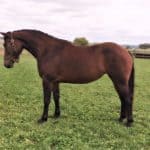 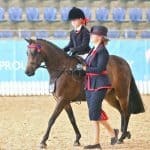 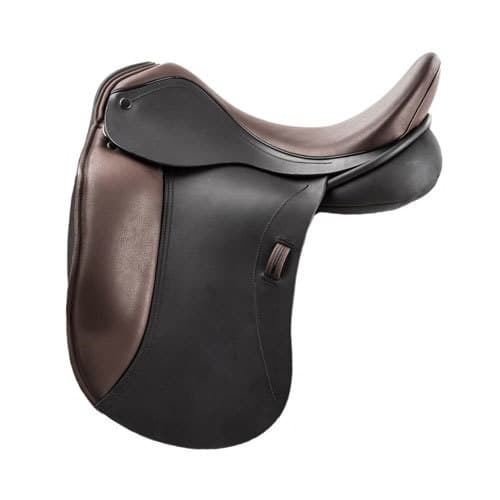 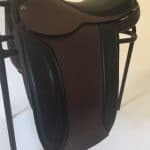 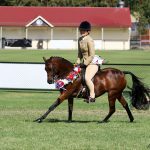 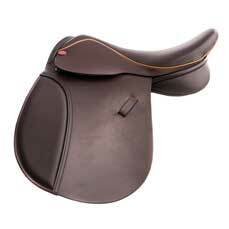 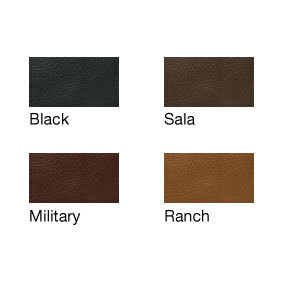 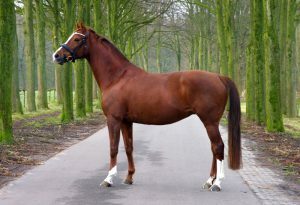 The saddle can have any flap/block configuration you would like under the Designed to Order service. 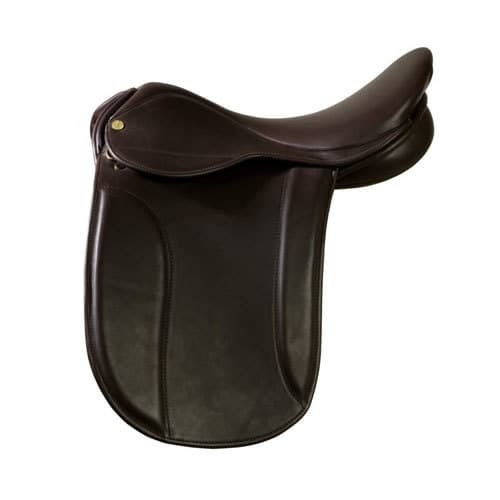 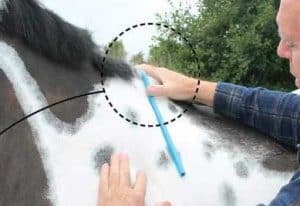 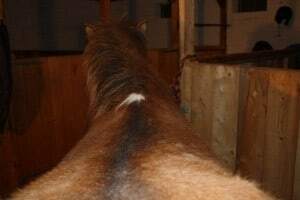 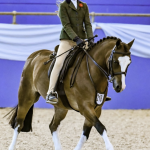 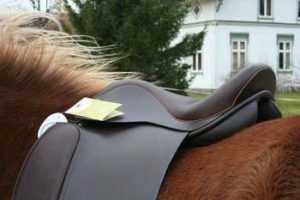 For example, if you wanted the saddle purely for showing you could have Ramsay style flaps. 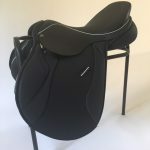 The FWB GP is available in standard sizes 16 1/2″ through to 18″, in standard width fittings and in standard colours Black, Sala, Military or Ranch.